Edit design Christmas jumper santa clause , or create your design from scratch. 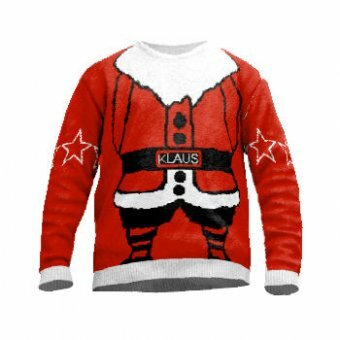 Custom knitted christmas jumper santa clause. Design with custom text, beard and logo from 1 piece already. Make it ugly, nice, make it your personal christmas jumper. Provided by the custom sweater maker from Germany.